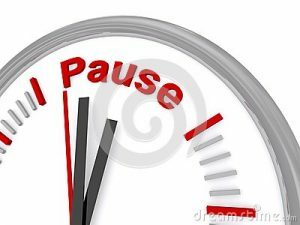 After spending some time with my four- year old granddaughter, I realize that it is time “for a pause”. While she thinks she is too old for a nap ( and I now know the value of one), her mother insists that each day, she takes time out for a “pause” . I began this website almost five years ago. I have tried to provide some tools to help you with the ever -changing challenges of life. Although this site started with a focus on Cancer survivorship ,it has evolved to include anyone who is seeking tools on managing life’s challenges. Recognizing the importance of mind, body, and spirit to find your healing and wholeness has always been my goal . Although there is no end to what could be written about the topic of Survivorship, I am going to “take a pause” from sending out scheduled blogs. I am going to focus my energy into trying to pull together my writing and work over the past thirty- five years into perhaps a book. Not sure of the final product, but it is time to try!! I may occasionally send out a blog or update, but will not do so on a scheduled basis. I hope that you will refresh your memory and look at some of the past 90 blogs on this website when you want a little “food for thought”. I appreciate all your past support and welcome any comments from you. My wish is for all of you to move forward on your own unique healing path. I wrote this poem years ago and never sent it out. Not great poetry, but it comes from the heart. You will hear from me again. I hope my pause will redirect my creative energy in a way that is refreshed, renewed, and restored. Thanks for your support. I have truly appreciated all your interest. Many roads to love and life. To guide you along your way. Your footing may not always be sure. To support the climb and soften the falls. To discover the voice of your own direction. Some times it feels there is nobody else climbing. Everyone is busy like a colony of ants. I don’t know that I need anyone to be with me on my climb. At my age, I have had very good teachers. All I need to do, is remember their teachings. They (you) along with G-d have given me all I need to know to make that climb. I just need to ask myself “Are you Ready?” So far, I shrink from the answer. When I could have, I didn’t, when I now can’t, I want to. Thanks for sharing… your blogs have been “food for thought” and usually about an issue that did pertain to something in my life. I always looked forward to reading it. Good luck writing your book. I will miss your scheduled blogs but understand completely. You deserve a break! Thank you for all you do and for helping so many of us. Nancy- thank you for your kind words. You may still “hear” from me. Take care.All the best! Thanks Ellen- always good to know that I am providing something useful. Take care Happy Holidays! Dotti- it is never too late to follow your heart. Although the journey is uniquely yours, you do not have to travel alone. May the New Year bring you the strength you need to keep climbing. Take care. Dr. Lubin, I always appreciate your blogs and everything else you offer to our community. I look forward to more of your wisdom in whatever form you offer it in the future! Mary Beth- thank you for your kind words. I hope to continue to make a positive contribution to others -it’s what gives meaning to me as I try to move forward. Take care and thanks for all your support over the years. Sherry- thanks for your comment. I hope to continue to find other ways to help and provide something useful to others .Thanks for your support.